Richard is a self taught artist, who explains how growing up in Somerville in Massachusetts – was one of the many things that contributed to his love of diversity and culture. Richards chosen submission topic is: Gender Identity Discrimination, below is his submission piece named “Politics of Pee” – which also featured in the “Personal is Political is Personal” group show at the 440 Gallery in Brooklyn, NY, USA. I painted “The Politics of Pee” during the summer of 2016 for a group show titled “Personal is Political is Personal” at the 440 Gallery in Brooklyn, NY. At the time, transgender rights issues and specifically the bathroom rights debate was dominating the news coverage all across the US. Once again, many Americans were resorting to outright discrimination against a group of people they didn’t understand or identify with, using unfounded fears as rationalisation. At the time, I felt like there was a shift happening within certain pockets of the country and now, unfortunately, I have been proven correct in my theory. So I decided to make this interactive painting that allowed viewers to physically shift the sign from “restroom” to “arrestroom” as a symbolic nod to the ease at which those in power can literally shift laws and deny basic human rights in order to oppress and discriminate against people of certain groups. I tend to have art frenzies. I will wake up inspired in the morning, jump up out of bed and go straight into my studio, and throw on some music to get me going. I will then completely immerse myself within my work. I don’t even stop to eat breakfast beforehand because I am always fearful of breaking up the creative energy once it is flowing. I will paint for a couple of hours before I run out of steam, and then the rest of the day is spent visualising my next studio session. I love all the art and poetry of Jean Michel Basquiat. His paintings have an incredible amount of raw energy, and are useful when you need a kick of inspiration. I am also a huge fan of Elizabeth Murray and her wonderfully colourful works of art that literally seem to float around the canvas that they are painted on. Both of these artists have been heavy in my search rotation lately. Of course, I am inspired by my beautiful wife and daughter on literally a daily basis, but if I am being more general about the question, then I am inspired by anyone who goes about their day just trying to good for themselves while at the same time doing good for the community as a whole around them. This is my idea of a perfect human being. People are drawn to art. They always have been and always will be. Because of this, artists have a uniquely captive audience at their disposal. It is the artist’s duty to use this outlet to create interesting as well as important pieces that resonate with viewers long after they leave the gallery. Art can help shift the minds and hearts of people in a completely different way than any political speech or protest rally because it appeals to something deeper within the soul of the person. Art is inside of us all, in some way or another and we can use this deep internal predisposition to help inspire change by not only being active within our craft, but also within our communities at large. Create art, and inspire change. My present and future goals for my art are the same, and are actually pretty simple. I want to continue creating works that spark a creative fire within me. When I finish a piece of art, I want to be in love with it. That is really my ultimate goal every time I go into my studio. Having others like (and buy) your work is a really good feeling, of course. But it is important to always feel good about the work you are producing, and the messages you are putting out into the world through artwork. It might seem obvious to say, but discrimination often usually starts from the top down. Parents teach their kids hate, they go on to teach their kids hate, and so on and so on. But, it is actually much more complicated than that. Every person eventually gets to a point in life when they have to make an informed, and very important, decision. Will they be open to people who are different from them, or will they use the “fear of the unknown” rap as an excuse to actively choose hate over harmony. Hate is never forced on anyone. It is always a free choice. If used inappropriately, labels can make discrimination much more feasible on a large scale. Label a large community of people as “others” who are not like “us” and as history will show, it makes venomous behaviour against these persons seem much more commonplace and acceptable. Stereotypes are dangerous, and they reduce a group of people to a few ill-formed generalities that for the most part are not very flattering. This reinforces the notion that all people from that background can be lumped into a tidy group of “others” that all feel, think, act, and exist in the exact same way. This never works, though, because every person is unique and different, regardless of what they look like, believe in, where they are from or how they are grouped and labelled. There is a difference between true nationalism versus much of the warped variations we currently see today. It is good to respect and appreciate the community that you came from. The problem is when people actively exclude persons of different backgrounds from their nationalistic identity. This is how it creates discrimination. This country is made up of almost all immigrants, so at one point or another we were all different. We need to be more inclusive of one another, not the other way around. Don’t use a false claim of national pride as a veil to cover overt racism and discrimination, because it doesn’t work. I think it is unfair for political powers to use stigmatisation against groups of people in order to push a personal agenda. It adds fuel to the fire of other racists and bigots within the country, and creates a dangerous level of comfort for this type of malicious behaviour within communities. Creative persons of all types must take action and stand up against this abuse of power, through our work as well as through activism within these communities. The art world needs to open up its eyes to the road it is going down, and make a change before it is too late. Currently, it is much too difficult for someone from a lower socioeconomic class to honestly pursue a career in a creative field because there is so little money to be made during the early years for most artists. The art world usually fails pretty miserably when it comes to fostering new, emerging talent. We need to help young artists from various backgrounds and socioeconomic levels so that they can make an honest attempt at pursuing a career in this business. 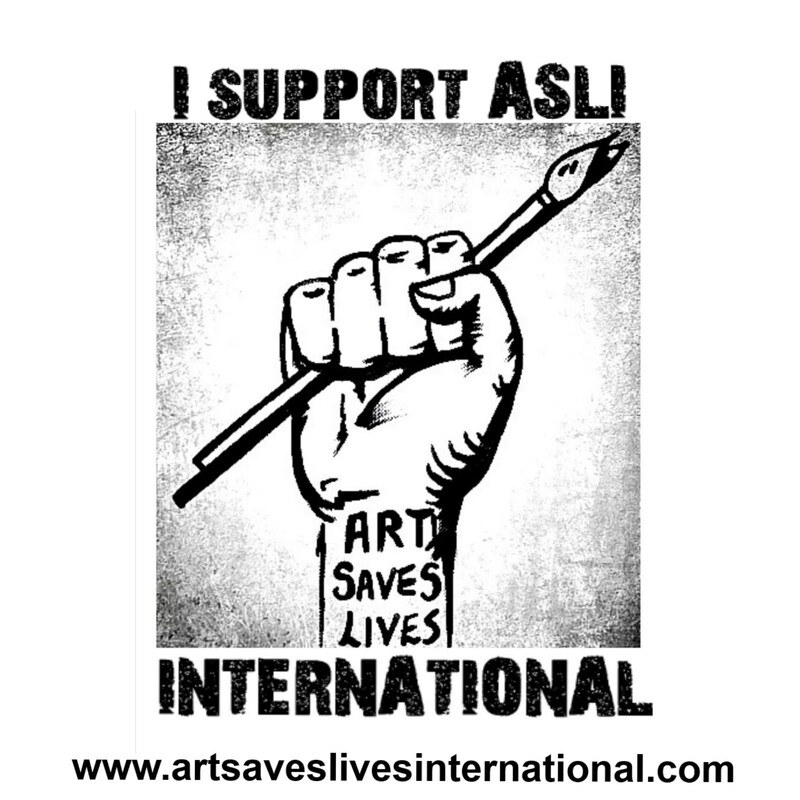 It is vital if we genuinely want to keep the voice of the people alive within art.